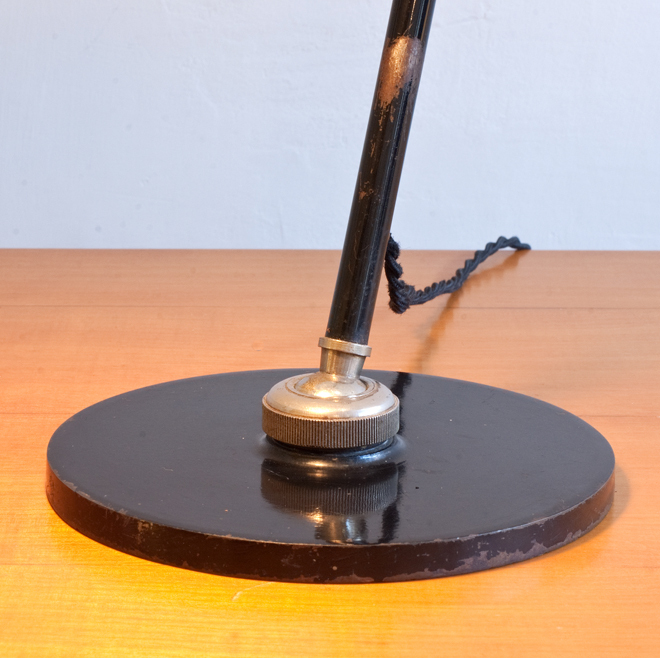 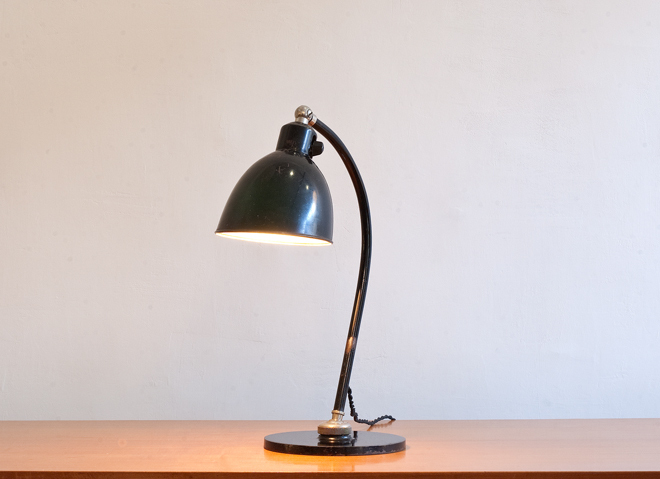 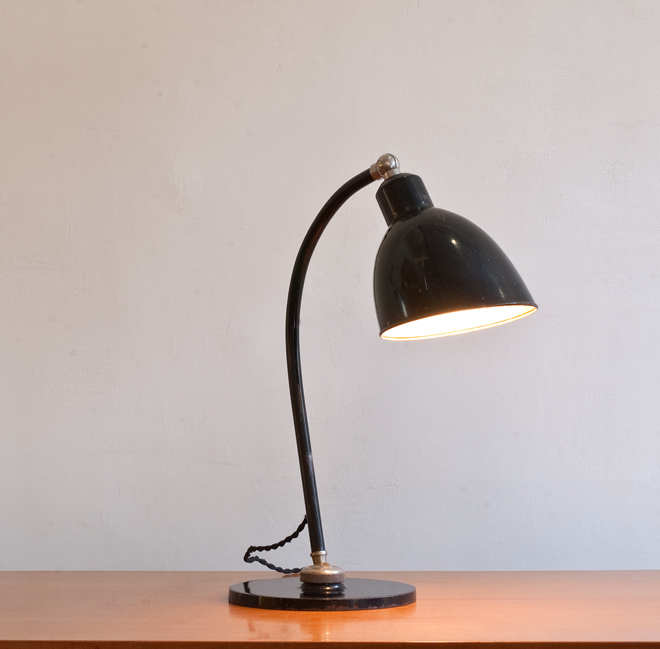 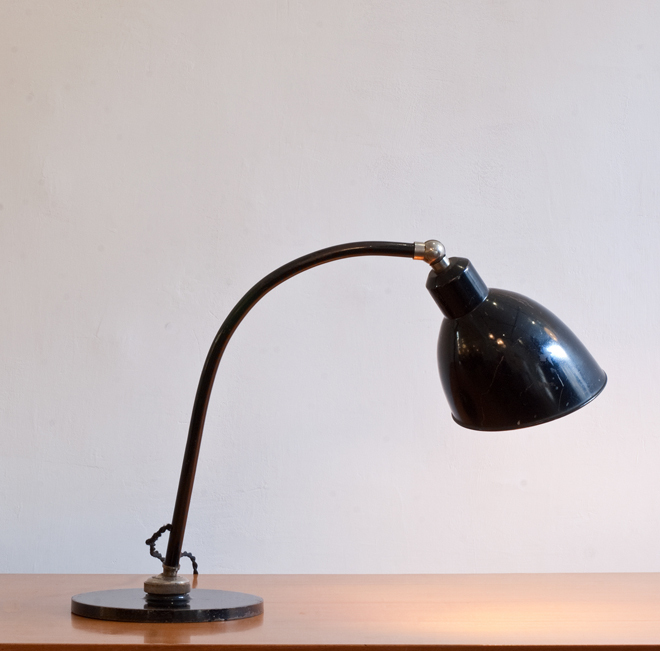 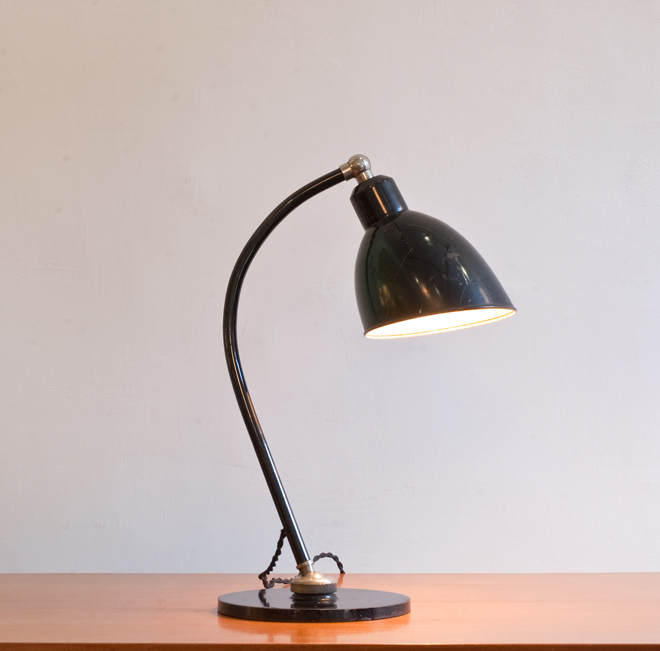 Desk lamp Polo Popular designed by the Bauhaus designer Christian Dell for Bünte & Remmler BuR in 1931. Can be moved in all directions with the ball joint on the base and the joint on the shade. With original switch in the shade. 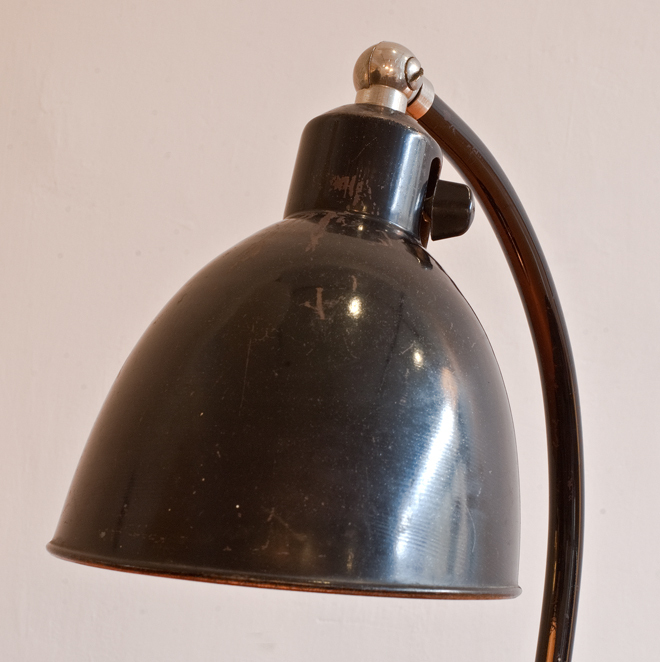 Original black lacquered metal and nickel elements.